Gdańsk z trzema restauracjami North Fish! | North Food Polska S.A.
29 May saw the opening of a North Fish easy restaurant located in Galeria Morena. This is the 43nd restaurant in Poland and the third in Gdańsk. North Fish easy in Galeria Morena offers products that our customers already know, including Norwegian Salmon, Black Cod, delicious soups, sandwiches, fresh smoothies, natural lemonades, as well as the selection of cold side dishes in “All you can eat” option. North Fish is a chain of restaurants specialising in fish and seafood. The first was opened in 2002 in the Galeria Echo shopping centre in Kielce. 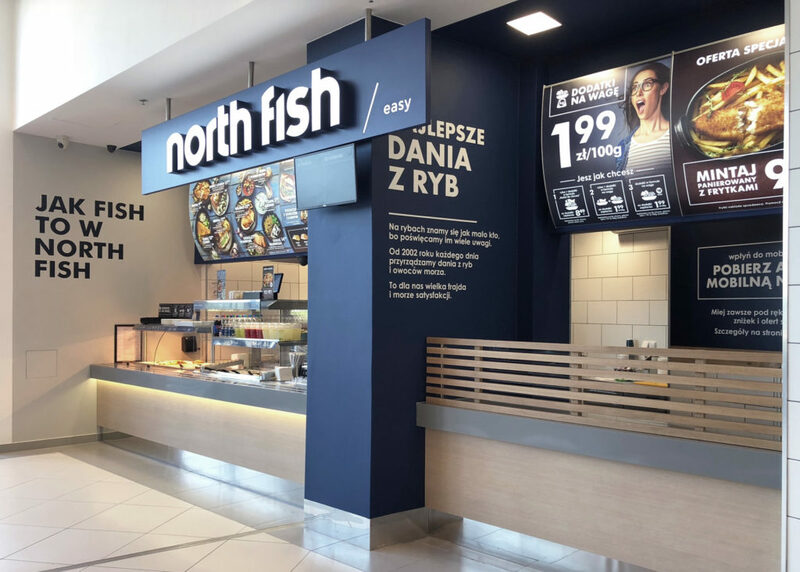 Currently North Fish operates 43 restaurants located in Poland’s best shopping centres, which makes it the country’s unquestioned leader and Europe’s second largest, chain of restaurants offering fish and seafood. Each day nearly 1,000 employees take care to ensure the highest quality of the products served.